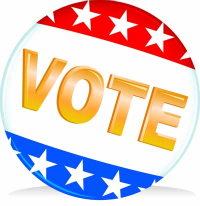 Early voting for the April 5 Consolidated Election begins on Monday, March 14, 2011 and continues through Thursday, March 31, 2011. Village Hall, 801 Burlington Ave., will be an early voting site. Voting will be in the Committee Room. Please enter at the south side of the building. Monday, Wednesday, Thursday and Friday: 8:00 a.m. to 4:30 p.m.